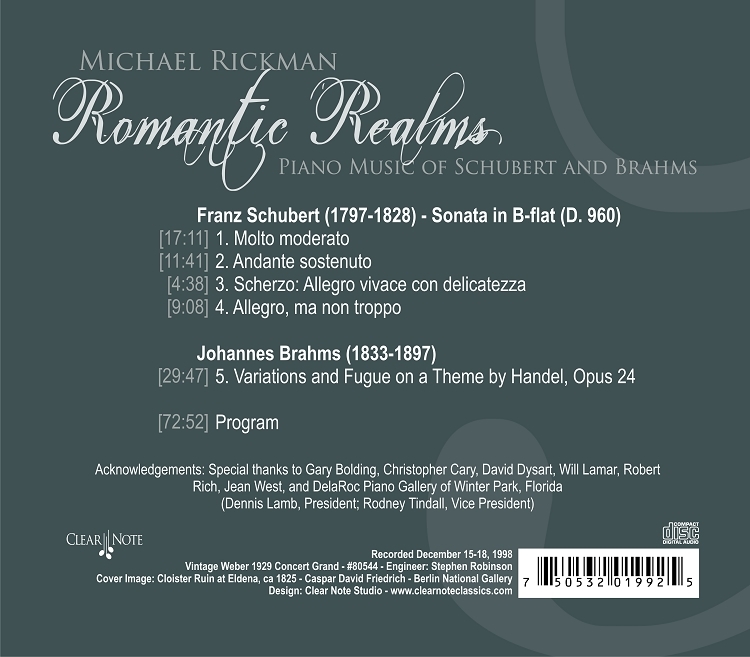 The last of the 1828 sonatas, the Sonata in B flat major, D. 960, opens in a manner characteristic of many of Schubert's songs and its gentle first theme dominates the extended movement. The slow movement, moving from C sharp minor to A major and to a final C sharp major has about it a beautiful serenity and is followed by a delicately graceful scherzo in B fiat major, framing a solemn Trio in the tonic minor key. The final rondo starts in harmonic ambiguity, suggesting the influence of Beethoven's substituted final movement for his Opus 130 String Quartet, and exemplifying the quality of heavenly length so often cited by writers on Schubert. Brahms's Handel Variations were intended for Clara Schumann, the manuscript bearing a dedication to a beloved friend. 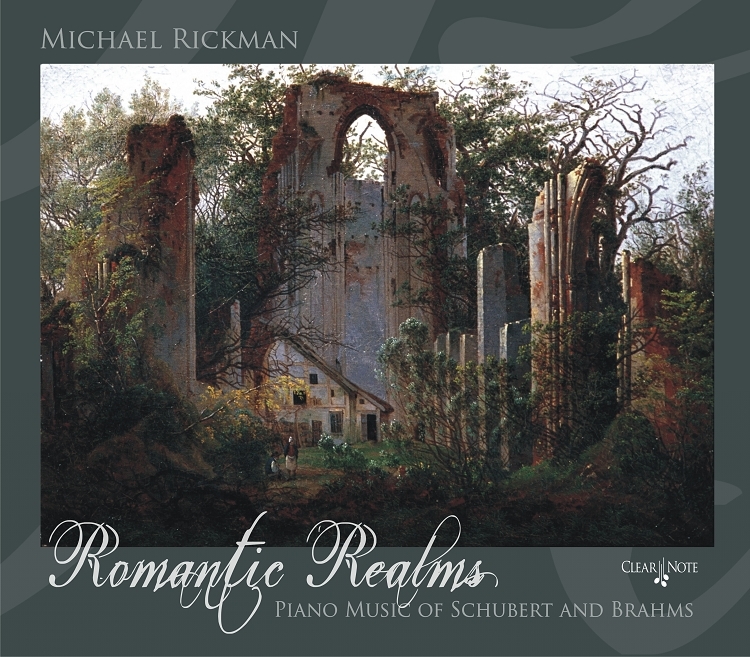 The theme is taken from a suite for harpsichord, an air, followed originally by five variations. From this theme Brahms creates a remarkable work, a series of twenty-five variations followed by a final fugue, showing a consummate mastery of the form. The versions of the theme offered differ in mood and texture, but are all highly characteristic of their composer, who in no sense wears Handel's wig in the process. The whole set follows a tradition to which Beethoven had added very considerably.